Small Bedroom Air Conditioner for a Better Night's Sleep. Bedroom. It is quite hot in Darwin throughout the year, but especially during the Wet Season. In addition, the Wet Season also gets very humid, which can make it difficult and even uncomfortable when trying to get a solid night's sleep. 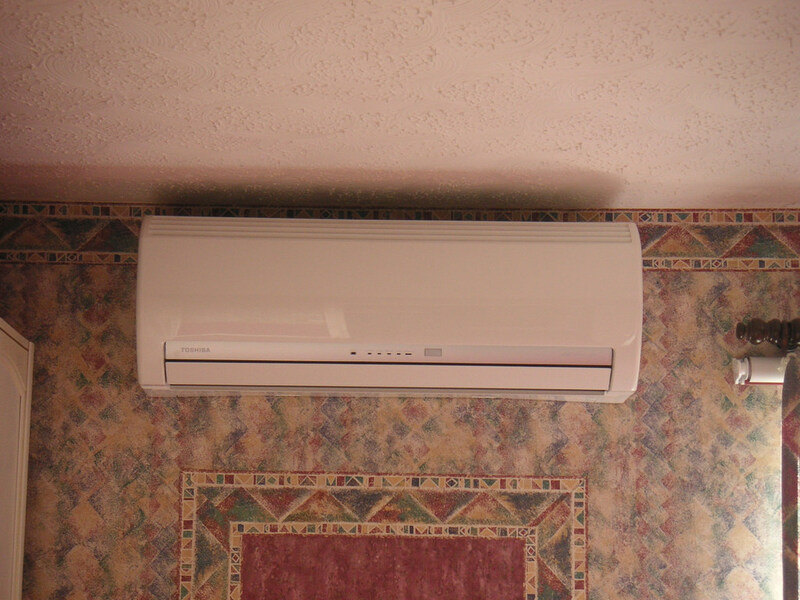 Even if you don't want the added cost of cooling your entire home, installing a small air conditioner in your bedroom can make a world of difference. Read on to find out why. It can be difficult to fall asleep if you are not fully comfortable, like when you are hot and sweaty, and the sheets are sticking to your skin. With a small air conditioner, you can choose the temperature that is most comfortable for you, making it easier for you to drift off into dream land. Using aircon can also help to reduce humidity by removing moisture from the air, keeping you from getting sweaty in the middle of the night. When you go to sleep, your body's temperature naturally drops to help facilitate everything slowing down so that your body can recover from your day's activities. Keeping your room at a cool, but not cold, temperature can make it much easier for your body to unwind, helping you to fall asleep quicker and sleep more restfully. A study done by the National Institute of Health in the U.S. found that sleeping in cooler temperatures can increase your amounts of brown (healthy) fat, which burns off more quickly than white (unhealthy) fat. It can also improve insulin sensitivity, helping to reduce the risk of diabetes. With the current air conditioning technology, you can set timers on your unit so that your bedroom is always cool when you need it to be. This also helps you to save on energy costs by shutting down the unit when you are not at home. Even new AC units need to be properly cared for to ensure that they keep functioning at their optimal level. You should aim to clean your unit at least once per year to prevent mould and other bacteria from building up inside it. Check the filter, if your unit has one, as well to ensure that it is properly cleaning your air. In Darwin, the best time to have your unit serviced and cleaned is towards the end of the Dry Season. This way, your AC unit will be ready to go when we enter the hotter, more humid months of the Wet Season. Here at UB Cool, we are the leading supplier and installer of large and small air conditioners in the Darwin region. In addition to selling our products on our website, we also operate a large retail outlet, the Darwin Air Conditioning Warehouse, where you can get assistance in person for choosing the right air conditioning unit for your needs. Stop by and see us today to get your home cooled down in time for the Wet Season.